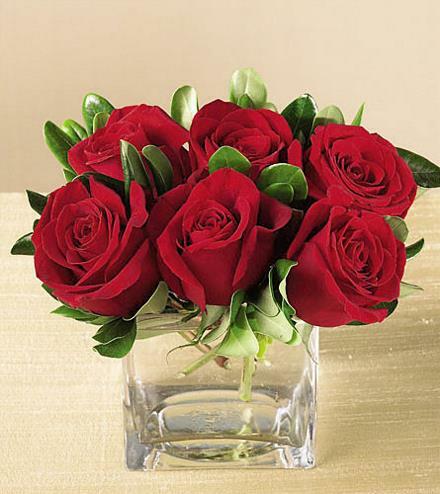 Six luscious red roses are arranged with greens in a 4" square glass cube. This contemporary design will enhance any celebration. Affordable Birthday Flowers - Lush Life Rose Bouquet.